Handcrafted in appearance, the Wyatt features a Barley finish that is heavily brushed to create a reclaimed look. 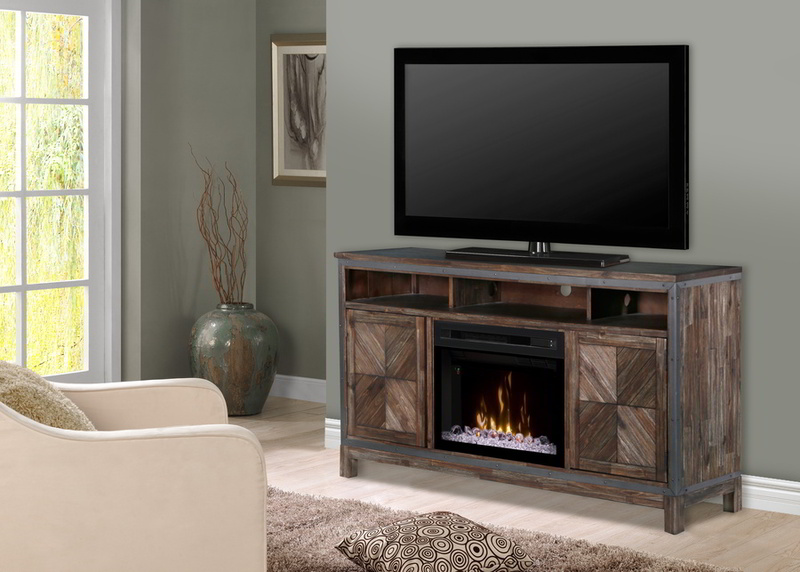 The mantel is framed by metal accent trim that also surrounds the firebox for a unique mixed media finish. Beautiful reversed diamond-matched Wood veneers cover the cabinet doors for the finishing touch on this unique, rustic-chic design.